David Frampton and his Majic Jungle Software first crossed our radar when his aerial shoot and rescue title Chopper [App Store] debuted two years ago as one of the more notable App Store launch titles. Chopper was very well received from the start and quickly became one of the true App Store success stories, seeing 500 downloads a day (at $7.99), early on. Since then, the game has been downloaded more than 350,000 times. A little over half a year after Chopper‘s debut, inspired by the game’s success, Frampton began work on the sequel, Chopper 2. And quite a bit of work it turned out to be. Originally expected to be completed in just six months for an August ’09 release, Chopper 2 has taken a hefty 16 months to complete. But, at long last, it has landed in the App Store [link]. So just what’s taken so long to bring this title to the App Store? For one, Chopper 2 has emerged a universal application that runs on the iPhone / iPod touch, iPhone 4, and iPad, fully utilizing the screen resolution of each device. And that’s not the last word on the display options offered by the game. In this area, as well as in the area of game controls, Frampton has gone rather above and beyond. But, more on this in a bit. Let’s first look at the gameplay. Chopper 2 is a highly enhanced take on the same basic shoot and rescue formula of the original. It features that same side scrolling action, but with a completely re-written 3D engine that delivers dramatically improved, highly fluid “2.5D" visuals with a much greater depth-of-field. The experience of weaving about the enemy airspace, laying down fire while dodging missiles, trees, and flocks of birds (they do damage, too!) is a white-knuckle affair, and the deep, parallax scene rendering of your chopper gliding along a canyon wall can really bring the vertigo at times. And it’s not just canyon walls you’ll be negotiating. There are 12 distinct locations in the Chopper 2 world, and each contains three different missions for 36 total missions to the game. Terrains include desert, snowfields, cityscapes, countrysides, and more. There are a range of mission types thrown into the mix, as well — rescue ops, deployment, caravan defense, search and destroy, etc. Initially, only a training mission is available for play, and progressive missions unlock based on goals achieved. 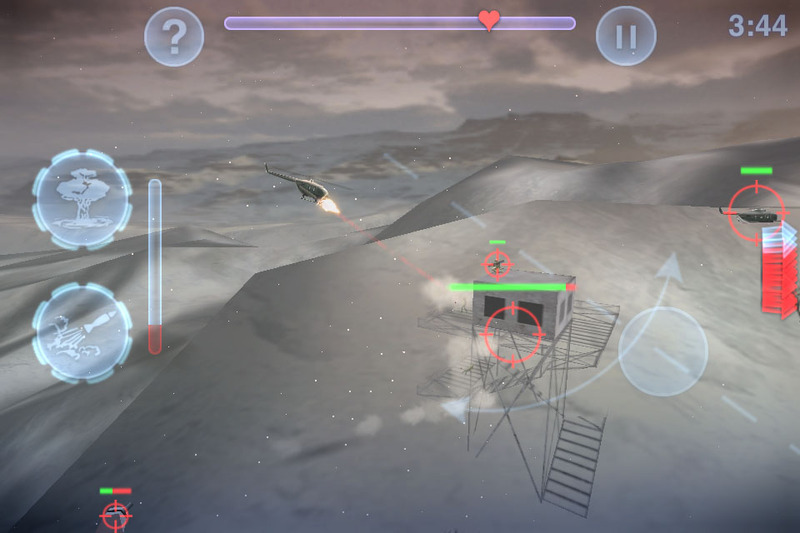 Enemies you’ll encounter include ground troops, anti-aircraft turrets, tanks, and enemy choppers. 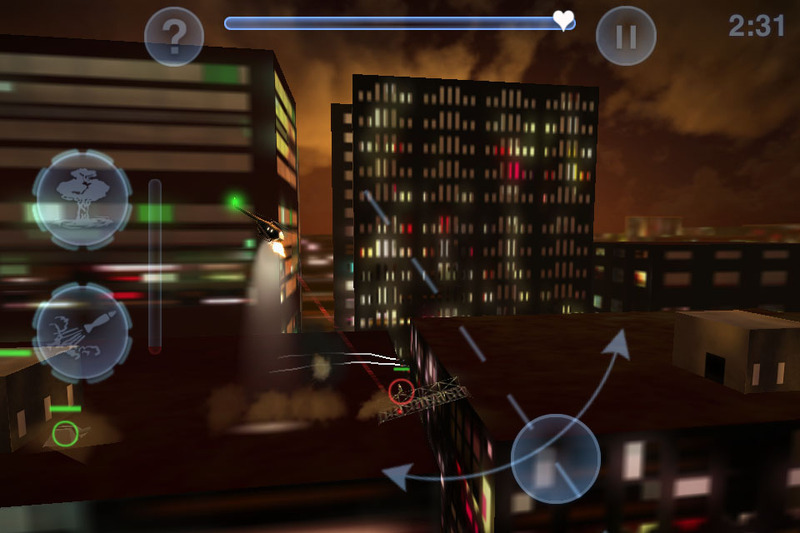 To take on these baddies, your chopper is equipped with directional cannons (aim controlled with a finger swipe), bombs, and missiles, depending on the mission at hand. Along the way, many levels feature armament refuel pads that can outfit your chopper mid-battle. OpenFeint integration tracks your achievements and high scores online. See the developer’s game trailer for a closer look at the action. The original Chopper was probably one of the best action games available when the App Store went live back in June 2008. A huge amount of work went into the sequel, which is laden with all kinds of bells and whistles one might not expect to find in an iPhone platform game, and it clearly shows. 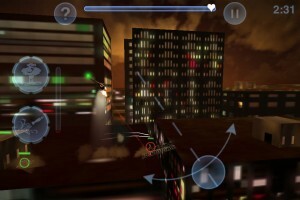 Chopper 2 is a quality production that I can recommend to any gamer with an iPhone platform device. It’s miles beyond the original and stands as a perfect example of all that iPhone gaming can be. 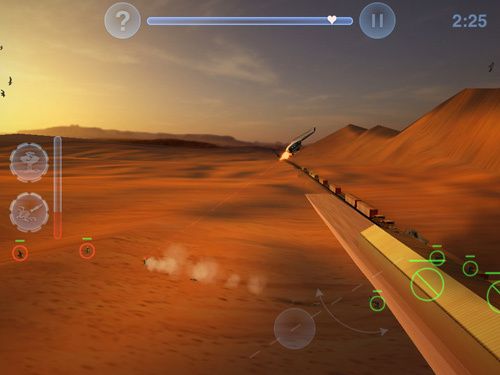 Chopper 2 is available for a limited time at a launch sale price of $2.99, after which it will be available for the standard price of $4.99.